There seemed to be quite a bit of interest in my Christmas list (blog, 23 Dec). Among the comments an anonymous contributor identifiable from internal evidence as Jack Windsor Lewis supplied a link to his own list of potential mishearings. Note that these are in a list headed Failure to … make pre-fortis reductions. The point is that Ma King — even when King loses its accent because of this particular King standing in contrast to all the other Kings, thus ˈmɑː kɪŋ — remains phonetically distinct from marking (non-rhotic) ˈmɑːkɪŋ because her first syllable is not subject to pre-fortis clipping (= reduced duration before a voiceless consonant), which is blocked by the syllable/word boundary between Ma and King. The ɑː in marking ˈmɑːkɪŋ, on the other hand, is subject to pre-fortis clipping. The effect is more noticeable in close vowels, as in Lee King vs. leaking. In the first example in Jack’s “miscellaneous” list, at anchor vs. a tanker, the crucial phonetic difference is absence vs. presence of aspiration. When the ship’s at anchor, the t is syllable-final, and is accordingly weakly pronounced and susceptible to such possible processes as t voicing (AmE) and glottalling (Cockney). But when the ship’s a tanker the t is syllable-initial, and therefore strongly pronounced with aspiration. Jack’s lists may be interesting to study because in almost all cases there is some phonetic difference involved, which it may be fun for EFL students to work out. In the fifties and sixties structuralist phonemics was extremely interested in such “juncture pairs”, as they were known. Anyhow, those of you who do not live in Britain may not be aware that the satirical fortnightly Private Eye has for some months now been running readers’ letters signed with improbably appropriate names. The current batch includes these. Pseudo Names will not be over until the fat lady has sung her last carol. Will there be a special Christmas edition of Pseudo Names? We certainly hope so. I trust that Private Eye will be celebrating the Yuletide season with a traditional, holly-draped cover story? Have you any plans for a compendium of Pseudo Names? Please don’t leave the Pseudo Names without a home this Christmas. Just before Christmas a man was stabbed to death in Rhuddlan, north Wales. Where was that again? The first news reader I heard on the radio pronounced the name as ˈrʌdlən. The second made a brave attempt at ˈr̥ɪðlan. The Oxford BBC Guide to Pronunciation tells us we should say ˈrɪðlæn, but in LPD I chose to prioritize the anglicization ˈrɪðlən, i.e. with weakened second vowel. The (north) Welsh pronunciation is ˈr̥ɨðlan, i.e. with a voiceless initial trill and a close central first vowel. According to the latest census statistics only 21.6% of the population of Rhuddlan speak Welsh. I wonder how the remaining 78.4%, the presumed English monoglots, actually pronounce the name of the place they live in. Outsiders, seeing the letter u, generally assume it has its English value of ʌ. We see the same thing in Llandudno, which the English tend to call lænˈdʌdnəʊ. But I think the locals usually know better, and map this Welsh ɨ onto English ɪ, thus lænˈdɪdnəʊ (or ɬan-, or the same with some surrogate for ɬ). Am I right? Just outside Rhuddlan stands Twthill Castle. None of my reference sources supplies a pronunciation for this name. Read as Welsh, it would be ˈtuθiɬ. But that certainly can’t be right. As my photo shows, the name is rendered in Welsh as Twtil, implying ˈtutil. 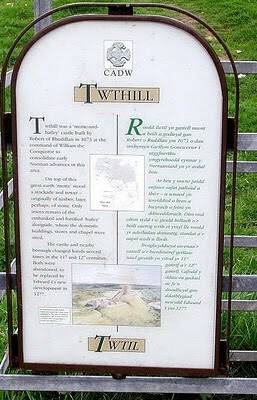 The second element in the name is presumably the English hill, and I surmise that its English name is ˈtʊt(h)ɪl. Is the first element Welsh twt (pronounced tut) ‘neat, tidy, smart’? The spelling is certainly an interesting hybrid of Welsh and English. Can anyone with local knowledge tell us? I’m sorry it took a murder to get me thinking about these place names. As we know, there is an intonation rule in English and the other Germanic languages that when we repeat words that have just been uttered we normally deaccent them. That is, we signal the information status of items in our message by removing potential accents from “old” information. — Of \course I speak English. Clearly this principle is not universal. If it \/were universal, | NNSs would not get it wrong when speaking English, as many of them certainly do. In some languages the situation hardly arises, because freedom of word order allows non-foregrounded items to be placed away from the end of the utterance (if that is where the intonation nucleus normally goes, as it usually does). Or you rephrase the sentence so as to avoid repeating words. When listening to non-Germanic foreign languages I always try to watch out for examples or counterexamples. (For Spanish, Héctor Ortiz-Lira has listed plenty of them in his articles on the subject.) But this can be difficult to do in the middle of a conversation when one’s knowledge of the language in question is limited. Βεβαίως μιλώ ελληνικά. veˈveozmiˌloeliniˌka ‘Certainly I speak Greek’. At least, I think that’s the accentuation he used. But I could be wrong. I’m not sufficiently au fait with spoken Modern Greek intonation to be certain of having heard the tonicity correctly. Did he really remove the accents from the last two words? With Germanic languages there seems to be no uncertainty: they follow the English rule. —Ja, natürlich spreche ich deutsch. What about Romance languages? And other languages? Czy Pan mówi po polsku? The decline of classical learning and of religious knowledge continues apace. It’s beginning to make me feel quite elderly. I’m grateful to Martyn Johnson of the University of Cambridge Computer Laboratory for a sound clip from BBC Radio Cambridgeshire. The newsreader announces a new carol by John Rutter, The Carol of the Magi. But she confidently pronounces Magi as ˈmɑːʒiː. The presenter then thanks her for setting him right on how to pronounce this difficult word, because he is about to interview the composer. (“That’s why you’re a newsreader.”) Fortunately a third person then intervenes to tell them that it should actually be ˈmeɪdʒaɪ. We’d better not speculate on which language the newsreader thought Magi comes from, or in which language the reading rules for this sequence of letters would produce ˈmɑːʒiː. I bet she doesn’t know what it means, either, or why it/they would have a carol named after it/them. The Magi are better known as the Wise Men, or the Three Kings, who in the Christmas story brought gold, frankincense and myrrh to give to the baby Jesus. The word is (as I’m sure you know) the Latin plural of magus, which means a learned man or magician, originally one from Persia. You will also know, although the newsreader probably wouldn’t, that The Magus is a rather well-known novel by John Fowles, later made into a film. Although in Latin măgus, măgī has a short vowel in the first syllable, its English pronunciation reflects the traditional developments affecting other long-established Latin borrowings: the vowel in an open syllable lengthens and undergoes the Great Vowel Shift, while in the plural Velar Softening changes g to dʒ. The Romans took the word from the Greeks (Μάγος, pl. Μάγοι), who in turn took it from the Persians. Herodotus tells us of wise men (μάγοι) in Persia who interpreted dreams. According to Wikipedia they were followers of Zoroaster. The Greeks later widened the meaning of the word to denote any kind of enchanter or wizard, and created a derived verb μαγεύω (classical magéuō, modern maˈʝevo) ‘bewitch, enchant, charm’ and an adjective μαγικός magikós. The latter is the source of our word magic. 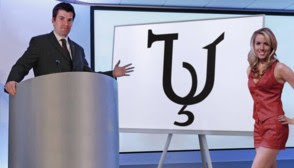 Victor H. Mair provides archaeological and linguistic evidence suggesting that Chinese wū (巫 "shaman; witch, wizard; magician", Old Chinese *myag) was a loanword from Old Persian *maguš "magician; magi". The word Magi has been in English for around eight hundred years. — of which just these two are not Scottish. 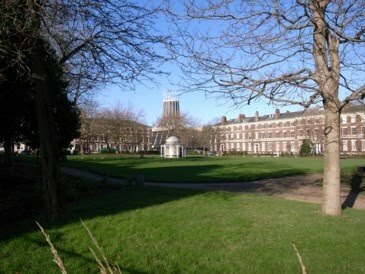 They are both places in England, specifically in Greater Manchester. I was wondering how they are actually pronounced. The first place, Besses o’ th’ Barn, lies between Manchester and Bury. It has a station on the Metrolink line and gives its name to a brass band, Besses o’ th’ Barn Band. In traditional Lancashire dialect, the definite article takes the preconsonantal form /t/, usually realized as [ʔ], as in in t’ road (in the road) ɪnʔ roːd. So the expected pronunciation of the placename would be ˈbɛsɪz əʔ ˈbaːn. 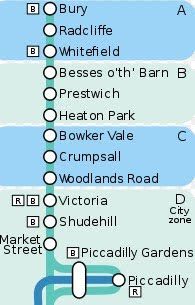 My nephew grew up just the other side of Bury and will have passed through Besses o’ th’ Barn station many times on his way to and from Manchester, so I rang him to ask how people pronounce it. His reply was that actually everyone just calls it Besses. That’s what Wikipedia says, too. The second place is slightly problematic. It is a district in Salford (for me ˈsɔːlfəd, locally ˈsɒlfəd), Greater Manchester. Jack gives it as Irlam o’ the Heights. However the BBC Pronouncing Dictionary of British Names (2nd ed., ed. G. Pointon, OUP 1990) shows it as ending in Height rather than Heights. Before a vowel sound the Lancashire article takes the form /ð/. The local dialect normally drops all /h/s, making the article in this name prevocalic, so as far as the definite article goes it is pronounced just as one would expect. 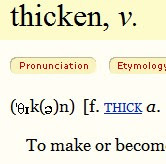 But perhaps both Jack and the BBC dictionary are wrong. On-line sources show the name used by the local authority as Irlams o’ th’ Height, with -s attached to the first element rather than the last and the article written as th’. This on-line map agrees. And I notice that the local Methodists have a church called Height (not Heights) Methodist Church. I expect the place is called ˈɜːləmz ə ˈðaɪt or just ˈɜːləmz. Perhaps someone can tell us. photo: James O. JenkinsI was in Southwark (ˈsʌðək) Cathedral yesterday evening with a hundred other members of the LGMC and a large congregation for the Mayor of London’s Christmas carol service. Like most English people these days I would not claim to be a committed Christian believer, and the same is true of our Chorus. 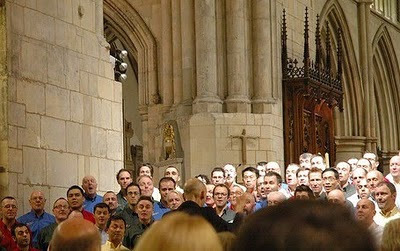 But unlike most English people, and unlike most of the Chorus members, I was brought up as a regular Anglican churchgoer, and am therefore very familiar with how church services are ordered and with what church choirs do. One of the things we had to do last night was to process (prəˈses), while singing, from our seats in the chancel and choir onto the chancel steps to perform our special numbers. Our custom is to sing “off-book”, i.e. without holding a music score to read from. We had the printed service sheets to use while still sitting in our choirstalls, but once on the move we had to leave them behind. It was a revelation to me that most of my fellow choristers did not know the words of the Christmas hymns off by heart, still less their tenor or bass parts. Before the service they were grumbling about the hard work they’d had to do to memorize them — stuff that I have been singing every Christmastide since I was a boy, stuff I could sing in my sleep. It means that in future when the other Chorus members know the words and music of songs from the shows, and I don’t, I shan’t feel so bad about it. Last December I discussed with you the pronunciation of deity, which features in the hymn Hark the herald-angels sing (blog, 3 Dec 2008). I can now confirm that again in Southwark last night the choir and congregation were (as far as I could tell) unanimous in singing ˈdeɪəti. I wonder if this pronunciation will eventually catch on in America too. And they came with haste, | and found Mary, and Joseph, and the babe | lying in a manger. — which I was trained to avoid when I was about eleven. Yesterday on BBC TV’s hymn-singing programme Songs of Praise one of the guest artistes was the distinguished opera singer Bryn Terfel. I nearly fell off my seat on hearing the presenter pronounce his name correctly, i.e. as he would himself. Then I realized the reason: the presenter was not some Englishman but Aled Jones, who is also, like Bryn himself, a native speaker of Welsh. The non-Welsh find it difficult to get their heads around the idea that in Welsh spelling the letter f stands for v, not for f (despite the model of English of). So the singer’s surname is properly ˈtɛrvɛl. But most people think it must be ˈtɜːfl. We see the same thing in the name Dafydd, the Welsh for ‘David’. In Welsh it is ˈdavɪð. By some further confusion the English often spell it wrong, too, as Daffyd, which fits better with the mispronunciation ˈdæfɪd. The singer’s first name, Bryn, is fine as brɪn. Strictly speaking, though, in the northern variety of Welsh which he and Aled speak this is a central rather than a front vowel: it is a short lax ɨ rather than a short lax i. Ideally we could represent it as ᵻ, although this symbol is not recognized by the IPA. The Wikipedia page on Welsh phonology writes it ɨ̞. Here is the vowel formant chart from the Wikipedia article, attributed to Martin Ball’s article ‘Phonetics for phonology’ in Welsh Phonology: Selected Readings, ed. M. J. Ball and G. E. Jones, Cardiff, U. of Wales Press, 1984. You will notice that the placement of ɑ (the long open vowel, as in tad ‘father’) looks wildly out of line. I checked the original 1984 article, and I find that it does not contain this diagram although it does give the formant values on which it is based. I can only suppose that the values given for ɑ — 800 Hz for F1 and 1350 Hz for F2, both much higher than one would expect — may be wrong. By trial and error I have found that you can use some very simple HTML formatting when commenting. To switch on boldface, type <b>. To switch it off again, type </b>. To switch on italic, type <i>. To switch it off again, type </i>. 1. Copy from somewhere else and paste into the comment box. 2. Use a keyboard facility such as Mark Huckvale’s Unicode Phonetic Keyboard (for Windows UK), downloadable from here. With this, you can type IPA directly into the comment box. 3. Type &#x0000;, replacing “0000” by the Unicode number (in hex) of the character you want. Don’t forget the final semicolon. You can find Unicode numbers by going to the Unicode site (scroll down to “Phonetic Symbols”), or by consulting my list. 4. Compose your message in Word, inserting the characters you need by doing Insert Symbol. Then copy and paste. 5. (Windows) Use Select, Copy and Paste from Character Map. It doesn’t matter what font you use, since Blogger/Blogspot will reformat all comments into its own font, which I think is Lucida Grande. If you can’t see my phonetic symbols correctly, it might be worthwhile getting hold of the Lucida Grande font and installing it. It comes bundled with the Safari browser, which you can download from here. If you can see some but not all symbols, you may have an old version of Lucida Grande, and could consider installing a newer version. In the comments on last Friday’s blog we touched on the issue of words like fire and power: are these monosyllables or disyllables? I mentioned that in LPD I treat them as varisyllabic. The most complex English sounds of the vowel type are the triphthongs. They can be rather difficult to pronounce, and very difficult to recognise. A triphthong is a glide from one vowel to another and then to a third, all produced rapidly and without interruption. The principal cause of difficulty for the foreign learner is that in present-day English the extent of the vowel movement is very small, except in very careful pronunciation. Because of this, the middle of the three vowel qualities of the triphthong (i.e. the ɪ or ʊ part) can hardly be heard and the resulting sound is difficult to distinguish from some of the diphthongs and long vowels. To add to the difficulty, there is also the problem of whether a triphthong is felt to contain one or two syllables. Words such as ‘fire’ or ‘hour’ are probably felt by most English speakers (with BBC pronunciation) to consist of only one syllable, whereas ‘player’ pleɪə or ‘slower’ sləʊə are more likely to be heard as two syllables. I find this account unsatisfactory. If the əʊə of slower is a “triphthong”, it is difficult to see any reason why the əʊɪ of going is not one too. If liar has a triphthong, surely trying must have one. Since voice and house are one-syllable words, English diphthongs must count as one V element rather than two. Both voice and house have the structure CVC, rather than CVVC. Similarly, I would argue that part of the definition of a true triphthong must be that it constitutes a single V unit, making with any associated consonants just a single syllable. These sequences are subject to two possible processes: smoothing and compression. Smoothing means the loss of the second part of the strong vowel (diphthong). Compression means the squashing of the two syllables into one syllable. Both of these processes are optional (or stylistically determined). Similarly, ɡəʊ.ɪŋ going can be smoothed to ɡə.ɪŋ and then compressed to ɡəɪŋ. If my definition of triphthong holds, then a triphthong would be generated only if we apply Compression without first applying Smoothing. And my claim is that we do not commonly do that. It’s perfectly commonplace to hear “it was” and “it is” with the weakform /t/ for “it”, although mainly only stressed and in initial positions in prosodic units. I have been trying to think up examples that would meet his criteria. This is quite difficult, because stressing (in my terms, accenting) (it) was or (it) is in phrase-initial position is pretty rare. (You would only do it if you want to emphasize the polarity or the tense.) However, here goes. (1) (Why are you bringing that old matter up?) It ˈwas a ˈlong time a\/go, | after \all. (2) Complaining about the cold? | It ˈis \/winter, you know. Would it be “perfectly commonplace” to hear ˈtwɒz in (1)? No, it wouldn’t. The usual BrE pronunciation would surely be ɪʔ ˈwɒz. In colloquial style the it might disappear entirely, leaving just ˈwɒz. But ˈtwɒz, with what Jack thinks of as the weakform /t/, is surely very stylistically marked, belonging in a mock, faux-antique style, just like its written equivalent ’twas. In (2) ˈtɪz is not so stylistically marked, because of the customary resyllabification of it is as ɪ.tɪz (attested by the aspiration and non-glottality of /t/). So if we suppress the first syllable we are left with ˈtɪz. There is a regular option in colloquial speech to suppress initial pronouns and auxiliaries, as in Sure? (= Are you sure? ), Got it? (= Have you got it? ), or Found it! (= I’ve found it!). We can suppress lone initial pronouns, too: Must be Jim (= It must be Jim), Think I’ve gone wrong (= I think I’ve gone wrong). But under this option I don’t think you can suppress half a pronoun. Many of you may already be familiar with Luis van Rooten’s little book Mots d’Heures: Gousses, Rames, subtitled The d’Antin Manuscript (Angus & Robertson, 1967). It is often given as a Christmas present. It purports to be an annotated collection of little-known French poetry, illustrated with medieval woodcuts. But all is not as it seems. To appreciate it you really need (i) to be familiar with French pronunciation and the text-to-speech reading rules for French, and (ii) to know English nursery rhymes. Hint: nursery rhymes are also known as Mother Goose Rhymes. or something of the sort, but I have not been able to track it down. I would like to know how Ausubel and Vygotsky are pronounced in an English context. As regards the latter, some colleagues pronounce it /vɪ/ and some others /vaɪ/. I’d like to know which the correct one is. My brief answer was that I don’t know. I have never studied educational psychology, and although I have seen these names in writing I am not aware of ever having heard anyone say them aloud. If I had thought it necessary to include them in LPD, I would have had to do some research. I would have checked various reference books plus Wikipedia. I would have asked one or two psychologist colleagues at UCL. I might have approached the BBC Pronunciation Unit to see if they could help. To take Vygotsky first: he was Russian (or Belorussian? ), and Wikipedia shows his name as Лев Семёнович Выготский or Леў Сямёнавіч Выгоцкі (1896-1934). 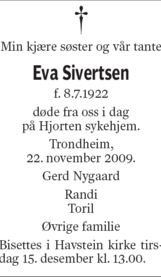 That tells us that the surname is pronounced vɨˈɡɔtskʲɪj or vɨˈɣɔtskʲi. Clearly the closest anglicization is with vɪ-, not vaɪ-. Depending on your criteria for correctness, that is presumably also the “correct” one: BrE vɪˈɡɒtski. Would Americans say vɪˈɡɑːtski or vɪˈɡoʊtski? I’d have to enquire (or possibly inquire). The other name Ausubel, is more difficult. It looks as if it is German, though in German Ausübel would literally be “out-evil”, which seems an odd kind of name to have. So perhaps it isn’t German after all. In any case it doesn’t really matter, since the psychologist David Ausubel (1918-2008) was an American, born in New York. American anglicizations of foreign surnames are notoriously difficult for non-Americans to predict. They are generally based on the spelling, so I can surmise he might have been ˈɔːzəbl, but would not be at all confident about that. There’s no substitute for getting hold of someone from his family, or people familiar with him and his work — and asking. Shin Tokuma tells me he was listening to BBC R4 as he drove along. 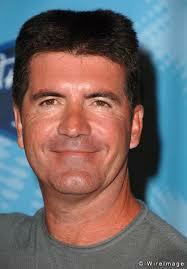 He thought he heard people talking about a “Simon Cow”, but then realized it was actually “Simon Cowell”. How could his confusion have arisen? he asks. Being a NNS, he was inclined to blame his poor listening skills, but (knowing his ability as a former UCL student) I don’t think he has any reason to blame himself. 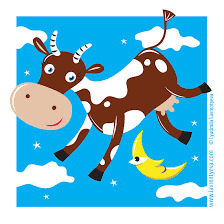 Cow and Cowell can sound very similar in some English people’s speech. OK, Cowell is basically ˈkaʊəl. But (1) the diphthong plus schwa sequence might be subject to smoothing and compression, and/or (2) the schwa might be swallowed up in the final dark [ɫ], which in turn (3) might become vocalized. (1) Smoothing is what turns aʊ.ə into a.ə, as when power is pronounced as ˈpa.ə. Compression makes this one syllable rather than two, paə, often also making the result a monophthong, paː, pɑː. This may make power a homophone of par, pa. So Cowell can be kaəɫ, kaːɫ and is a potential homophone of Carl kɑːɫ. (2) Many (most?) English people make vowel rhyme with owl, towel with foul. That is, we have lost the distinction between aʊə and aʊ in the environment of a following ɫ. So Cowell is generally a homophone of cowl. (3) With L vocalization, widespread in southeastern England, there is no alveolar contact for the segment and the older ɫ turns into a back, usually rounded, vocoid, conventionally written o. The only difference between cow and cowl, Cowell is then that the latter may have a somewhat different timing in the tongue movement, greater overall duration, or a slightly different target for the end of the resultant diphthong. Compare the similar vow - vowel, boughs - bowels. If there is a difference, it may well be one of those intriguing cases where the speaker believes he is making a difference but the hearer can’t perceive it reliably. Particularly in noisy conditions, as when Shin was listening to his car radio. Sometimes the comments on this blog get sidetracked into topics that have nothing to do with the subject of the blog posting to which they are appended. So it was on 28 November, when David Marjanović was surprised “that anyone would seriously say anything other than [ˈt͡ʃɪkŋ̩]” for chicken. As others sprang to point out, ˈtʃɪkɪn is in fact very common, indeed more than just common. 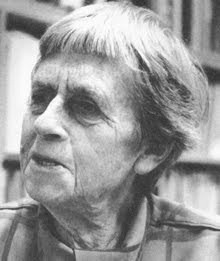 It was the only form given in EPD when that dictionary was still edited by Jones, and indeed also under Gimson’s and then Ramsaran’s editorship. Only rather recently (since LPD came out, dare I venture?) have people started to recognize (for “BrE”, i.e. RP etc) the alternative possibility of ˈtʃɪkən, ˈtʃɪkn, ˈtʃɪkŋ. And I would guess that ˈtʃɪkɪn is still overwhelmingly the usual pronunciation for those who maintain the contrast of weak vowels in this position, ɪn vs. ən (the latter being also transformable into syllabic n and from there by progressive assimilation into syllabic ŋ). 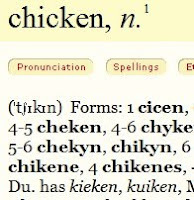 For me the mystery is not so much the fact that the weak vowel in chicken is usually ɪ as the fact that the same is NOT true of thicken, stricken, quicken, sicken. They all have ə. I would guess that for most BrE speakers chicken ˈtʃɪkɪn does not rhyme with thicken ˈθɪkən, and I have no idea why that should be the case. Given the identical spelling and the similar morphology (a fairly transparent -en suffix), you would expect them to have the same vowels. I can’t find anything relevant in Carney’s Survey of English Spelling (Routledge, 1994). 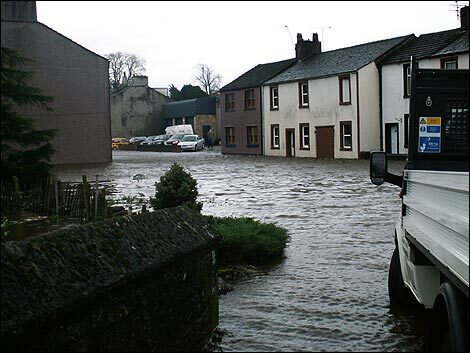 An extra irritation for the poor people of Cockermouth, as if they needed such a thing, is the determination of television reporters to mispronounce the name of the flood-stricken town. They seem unwilling to articulate the first syllable, so that it comes out as “Currmouth” or, in the case of very posh reporters from the BBC, “C’mouth”. 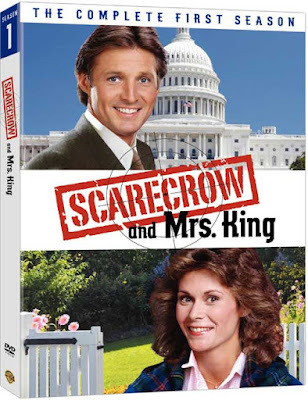 It must annoy the locals because it enrages me: I scream the first syllable at the TV every time it is mispronounced. Let’s hope the Sheffield suburb of Penistone stays dry this winter. It was the final syllable that I found interesting, the -mouth part. Harry Campbell noticed, too. It's always pronounced with the last syllable unobscured as in the mouth on your face, rather than -məθ. I had the idea from somewhere that only in Scotland was this the pattern, as in Eyemouth. Compare Burnmouth (in the Scottish Borders), pronounced burn-mouth, with Bournmouth (-məθ). Although outsiders may say -maʊθ, I think the locals mostly say -məθ in Cockermouth, as you would expect for a place in England. Listen to a resident, Sue Cashmore, and a Scottish reporter, Laura Bicker; also the Chief Constable of Cumbria. They all say -məθ. When I was a boy my father twice took a locum near Maryport on the Solway coast. We would have outings to the Lake District, taking a bus to Keswick (ˈkezɪk) that passed through Cockermouth. Being outsiders, we called it -maʊθ. OK, it’s a bit early yet for Christmas (though I’m singing in a Christmas show in just one week’s time). Sorry. I was thinking about the carol Joy to the World — not one commonly sung in Britain when I was young, but now very familiar. The first verse ends with the repeated phrase and heaven and nature sing. 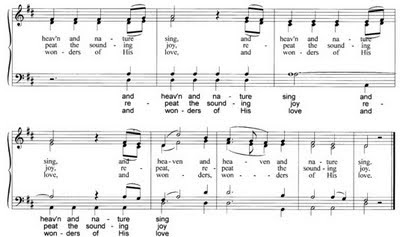 Or actually, in the score I have, it’s and heav’n and nature sing (with an apostrophe) the first few times but then and heaven and nature sing (no apostrophe) the last two times. 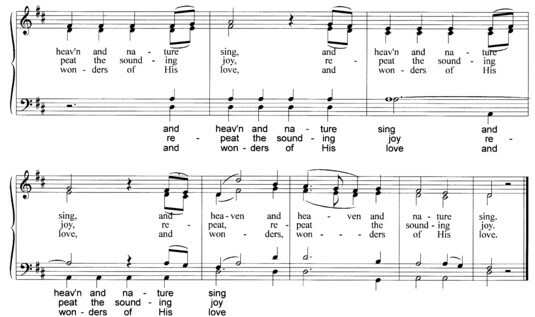 The slur marks on the score, however, indicate that heav’n (or heaven) is to be sung as a single syllable no matter how spelt. This got me thinking about compression (varisyllabicity) and the constraints on it. However, like other syllabic consonants, this [n̩] is subject to possible loss of syllabicity when followed by a weak vowel. Compare seven and a half pronounced as four syllables only, ˈsevnənəˈhɑːf, or indeed heaven and earth as three, ˈhevnənˈɜːθ. In heaven and nature sing the /ən/ of heaven is followed each time by the weak /ə/ of and. So the conditions for compression are satisfied, the word can be pronounced as a single syllable, and the notation in the score is justified. In the recording made by Boney M, interestingly enough, we hear clearly disyllabic ˈhevən each time my score has heav’n, but compressed monosyllabic hevn for the last repetition, where my score says heaven. I've been trying to find the origin for the difference in the pronunciation of the word 'schedule' (sked- and shed-) and thought you might be able to help. If you could give me a brief, layman's explanation as to why British English pronounces the word "shed-ule" and American English pronounces it "sked-ule" I would be deeply grateful. Which pronunciation is older, and how did the newer pronunciation become acceptable and take hold? The basic answer is surely that we don’t know. As with most differences in pronunciation, we really cannot tell why one form has become prevalent in one geographical area and another in another. It's often difficult or impossible to say WHY a particular pronunciation exists — ultimately it's a matter of fashion, like clothes. For 'schedule', one mystery is that this word used to be pronounced with plain s-. That's the only form given by Walker (1791). (See the OED.) But it is never heard today. The earliest spelling for this word given in the OED is cedule, from Old French and attested from the 14th to the 16th century, when the modern spelling first makes its appearance. (The OED continues, “mod.F. cédule”, though I can find no such word in my big Collins/Robert dictionary of French.) The pronunciation with /s-/ appears to have persisted unchanged. In BrE, the orthoepist Smart (1836) is the first to recommend the pronunciation with /ʃ-/. I don’t know what early Americans did. So the question comes down to why /ˈsedjuːl/, the pronunciation used until the end of the 18th century, ultimately gave way to /ˈʃedjuːl/ in BrE but to /ˈskedʒ(u)əl/ in AmE. Actually, as readers of LPD will know, the picture is actually more complicated than that. 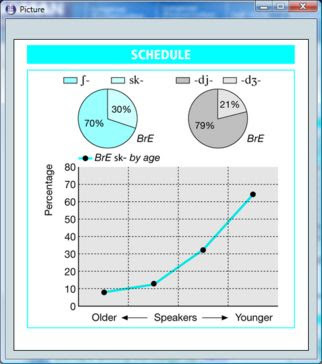 By no means all speakers of BrE prefer /ʃed-/. In my sample, in fact, 65% of BrE respondents born in 1974 or later preferred the /sked-/ form, which seems set to gradually displace /ʃed-/. This may have something to do with the fact that in AmE the word has a wider meaning than traditionally in BrE, since it covers BrE (railway, airline, bus) timetable as well as the meaning we share of a “tabular or classified statement” or “blank form”. Now we are borrowing this additional AmE timetable meaning (e.g. departing on schedule, scheduled arrival time), often along with its pronunciation. I suppose that part of the answer to Mr Marsh’s question is that both /sk-/ and /ʃ-/ are spelling pronunciations. The model for the first would be in words such as school, scheme, schooner, Schofield; for the second, schnapps, schnozzle, meerschaum, and German names such as Schiller, Schubert, Schweppes, Porsche. Since the first group may be felt as more “native”, it is not surprising if it attracts items from the second. The same thing has happened with schism, traditionally /ˈsɪzəm/ but now usually /ˈskɪzəm/. As for scheme, /k/ is the usual reflex of Greek chi, which is what σχῆμα schēma had. Pablo Ugerman, a graphic designer, is developing a phonetic font for a degree project. He wrote to me enquiring about phonetic letters and diacritics. What constraints are there on the combination of particular base characters with particular diacritics? In using the International Phonetic Alphabet, the only constraints on combinations of diacritics and base characters are logical ones. For example, the “voiceless” diacritic U+0325 COMBINING RING BELOW can logically only be applied to a base character that stands for a voiced sound, e.g. [m, b, ɓ, u], but not [t, θ, ç, ʘ]. It has a variant, U+030A COMBINING RING ABOVE, used if the base character has a descender, e.g. [ŋ, ɻ, ɡ]. Similarly, the dental diacritic U+032A COMBINING BRIDGE BELOW would usually only be applied to a base character standing for an alveolar sound, e.g. [t, n, s]. However if someone wanted to use it with, say, [b] to show a labiodental stop, that would also be OK. But combined with, say, [k] it would presumably be meaningless. There is no formal constraint on having multiple diacritics on the same base character. The aspiration diacritic, [ʰ], is most commonly deployed after symbols for voiceless plosives. The IPA Handbook also shows it with [d], although the article about Hindi in the body of the book instead uses [ʱ] for the voiced aspirated series, thus [bʱ d̪ʱ dʒʱ ɖʱ ɡʱ]. Korean has two kinds of alveolar fricative, one of them often transcribed [sʰ], and I suppose in principle any affricate or fricative can be aspirated. Can approximants? Can vowels? You could call the preaspiration of Icelandic, Scottish Gaelic etc aspiration of the preceding vowel, and certainly transcriptions of the type [kʰaʰt] are in use for such cases. “Breathy voiced” and “creaky voiced” can only combine with symbols for voiced sounds: [t̤] is presumably a logical contradiction. Nasals can’t be nasalized. And so on. Are “advanced” and “retracted” only for vowels? No, because they are sometimes used to show dental as against alveolar, prevelar as against velar consonants. What about “centralized”? Vowels only, I think. Is “syllabic” only for consonants? Normally yes, and then only for nasals and liquids. Some students imagine that looked should be transcribed lʊkd̩ (with “syllabic d”), but they are confusing phonetics with morphology. Syllabic plosives are a no-no. What about combining the syllabicity mark with a vowel symbol? Normally we don’t do that, because vowels are inherently syllabic, so it would be tautologous. 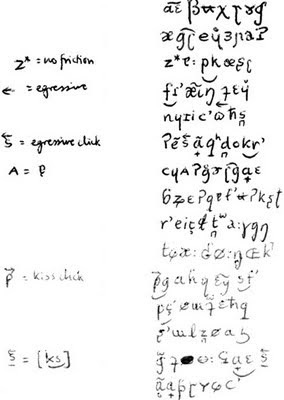 But Abercrombie, in his English Phonetic Texts (1964), used a transcription for English in which the syllabicity mark sometimes appeared under schwa to show that it was not part of a diphthong. the 'unreleased' IPA diacritic. Is it supposed to mark 'no ORAL release' or 'no release at all'? I'm asking because I don't know if it is correct to use the symbol in phrases like 'look at me' [lʊk əp mi] where the bilabial (underlyingly alveolar) stop is followed by a (now homorganic) nasal and where there is no labial release but only a nasal one. What about 'at noon'? For a plosive to have literally no release at all, the speaker would have to stop breathing, or at least discontinue the airstream mechanism underlying the production of the plosive. In the middle (compression) stage of a plosive, air pressure builds up in the cavity behind the primary articulators. Something has to undo that pressure buildup: if not the release of the primary articulators, then either some other release (notably nasal, by lowering the soft palate) or a zeroing of the pressure (if the intercostal muscles and diaphragm creating the egressive airstream stop compressing the lungs). That is why the diacritic [ ̚ ] is defined on the IPA chart not as “unreleased” but as “no audible release”. An unreleased stop or unreleased plosive is a plosive consonant without an audible release burst. In phrases such as the look at me and at noon that Václav [ˈvaːtslaf] asks about it is possible to use nasal release, i.e. to release the [p] or [t] by lowering the soft palate. In that case there will be an audible release. Daniel Jones called this “nasal plosion”, and judging by his description it appears to have been the norm in the RP of a hundred years ago. The IPA symbol is [pn, tn]. Nowadays nasal release in this phonetic environment would tend to sound a bit prissy or over-careful: in Britain we mostly either just use a glottal stop, [lʊkəʔmi, əʔnuːn], or else we render the nasal release inaudible by covering it with a glottal closure. 1. As you finish making the vowel, switch off voicing and bring the lips firmly together, thereby cutting off the air escape and thus creating the first stage of the plosive (the “approach”). The air builds up in the pharynx and mouth behind the lips. 2. While the lips remain together, close the glottis. This cuts off the air pressure from the lungs, isolating the supraglottal cavities so that there is no longer much pressure differential between the oropharynx plus mouth on the one hand and the nasopharynx and outside air on the other. Air pressure remains in the subglottal tract. This is the middle stage of the plosive (the “hold” or compression stage). 3. Lower the soft palate. We don’t hear any nasal release because there is no great pressure differential involved. The oropharynx and the nasopharynx now communicate. 4. Release the glottal closure. This is the third stage of the plosive, the “release” — but it is inaudible as such. The lips are still together. As the vocal folds (= glottis) cease to be firmly closed they start to vibrate, giving voicing. Air escapes through the nose. We have [m]. You could abbreviate all this description by just referring to it as “[p] with no audible release”. A further possibility that might be called “no audible release” is the kind of thing we get in grab bag, bad dog, big girl, where articulatorily there is just a single plosive with a long hold: narrowly [ɡræbːæɡ, bædːɒɡ, bɪɡːɜːl]. Phonologically, of course, there are two plosives involved each time, /bb, dd, ɡɡ/. The /d/ at the end of bad is literally unreleased, just as the initial /d/ in dog is “unapproached”. There is just one plosive approach, as [æ] ends, and one plosive release, as [ɒ] begins. The extra duration of the hold phase, as the primary articulators remain in position and air builds up, signals to us that this counts as two successive consonants, not one. In Saturday’s Guardian Simon Hoggart commented, not for the first time, on Gordon Brown’s “strange pronunciations”. It's rather spoiled, though, by the fact that he seems to be the only person in the English-speaking world who pronounces the letter "r" in "iron", thus: "cast eye-ron promise." It brings you up short and makes it hard to concentrate on what follows. Gordon Brown is of course far from being ‘the only person in the English-speaking world who pronounces the letter “r” in “iron”’. All rhotic speakers do. What is unusual about Brown’s pronunciation, as Simon Hoggart says, is that he pronounces the word as spelt, i-ron ˈaɪ rən. So for him it rhymes with Byron and involves the same sequence as tyrant. The usual pronunciation of iron, ˈaɪə(r)n, must result from a historical metathesis by which ī rən becomes ī ərn. The r then as usual coalesces with the preceding schwa in rhotic accents to yield ɚ, ˈaɪɚn, while in non-rhotic accents, being preconsonantal, it undergoes the usual deletion, giving ˈaɪən. The OED gives a rather more elaborate account, involving “diphthongation” (by which I think it means the Great Vowel Shift) and “syncopation”, but saying essentially the same thing. I don’t know whether Brown’s pronunciation of this word is shared by some or all Scots. Perhaps someone will tell us. It does have the advantage of making the word clearly distinct from ion. In the discussion of wholly and holy (blog, 30 October) I didn’t touch on the question of whether wholly is pronounced with one l sound or two (though some commentators did). So let’s do so now. The general rule in English is that when you form an adverb in -ly from an adjective ending in l you simplify the two l sounds to one. Thus fully is ˈfʊli, partially is ˈpɑː(r)ʃəli. In addition, in an adverb formed from a stem ending in syllabic l the syllabicity is lost, thus simple, simply ˈsɪmpl̩, ˈsɪmpli, gentle, gently ˈdʒentl̩, ˈdʒentli (though there is some hesitation for subtly ˈsʌt(l̩)li). The ending -ically, too, usually has the underlying -ɪkəlli compressed to simple -ɪkli, thus physically ˈfɪzɪkli. This means that for wholly we would normally expect only a single l sound. Does the fact that some speakers sometimes pronounce a double (geminated) l imply that they are treating this word as an exception, perhaps consciously striving to differentiate it from holy or hole-y? Perhaps it does. On the other hand, when we form a nonce -ly adverb from an adjective that is not usually made into an adverb in that way, double l may be preserved: you can experiment with dully ˈdʌl(l)i, smally ˈsmɔːlli, and futilely BrE ˈfjuːtaɪlli. With the suffix -less there is no such simplification: guileless is ˈɡaɪlləs, not *ˈɡaɪləs; similarly tailless, soulless. The Queen’s Speech to Parliament today gives us another opportunity to observe her pronunciation first-hand. It is striking that she regularly pronounces enhance as ɪnˈhæns rather than the ɪnˈhɑːns which most RP speakers have. I feel sure she wouldn’t pronounce æ in dance or chance. I wonder why enhance for her has not undergone the usual broadening (backing plus lengthening) in the environment _ns. There are two well-known exceptions to this sound change for all RP (etc.) speakers: romance rə(ʊ)ˈmæns and finance (stress variable, but always -næns). Speakers vary in the case of stance stæns ~ stɑːns and even more for circumstance (where you very frequently also get weakening to -stəns). Hm. Why do I feel confident that the Queen would say lance, glance, answer and France with ɑː, while with (to) enˈtrance and fiancé(e) I feel there is a slight possibility that she might have æ? I am wondering whether you hear /æ/ or /eɪ/ in the sound recordings for US English in your LPD software (3rd edition) for the word “bank”. To my ear I am hearing /eɪ/ in all of them (to varying degrees). I have a US English accent and I find it natural to say the vowel in bank, sank, tank, or thank as either /æ/ or /eɪ/, so I think I can hear the difference. For instance, the recording of “bank balance” from the US speaker really sounds like /beɪŋk/ … to me. Does it sound like that or /bæŋk/ to you? I hear bæŋk, with a bit of an offglide of the ɪ type such as many Americans use before a following voiced velar nasal. But it's not beɪŋk - compare what you hear at bane. I believe there is a phonotactic constraint in English against eɪ before the cluster ŋk. I suppose that means we could say that the opposition æ-eɪ is neutralized in the context of a following ŋk, which would mean it’s meaningless to ask which of the two we get in this context. I am sorry I cannot extract the sound files for bank and bank balance from the CD-ROM so as to make them available to you here: but if you have the dictionary you can check them for yourself. Here is the clip in question (thanks to Petr Rösel). I am not sure which of the American speakers that we used recorded this particular sound clip, but he is evidently not one of those who uses a strictly monophthongal æ in all contexts. I wonder how other Americans would react to Mr Ellerman’s opinion. Further to my report of the death of Stanley Ellis (blog, 4 Nov), I would refer those interested to Jack Windsor Lewis’s obituary published in the Guardian (you may need to go to the front page, www.guardian.co.uk, then down through Obituaries | Stanley Ellis), as well as to what he has written in his own blog. Edward Aveyard has drawn my attention to a press report from the Yorkshire Evening Press dated August 1953. When I was a child, one of the dishes we quite often had for pudding (= AmE dessert) was blancmange, which we pronounced in a thoroughly anglicized way as bləˈmɒndʒ. It wasn't until I was in my teens that I noticed that it looks like a French word. Like junket, this foodstuff seems to have more or less disappeared from Britain by now (and I’m not sure whether Americans ever had it). It has been displaced by yoghurt and other ready-made puddings/sweets/afters from the supermarket refrigerated display. If we do have it or something like it, we might nowadays call it (up-market) panna cotta or (down-market) shape. The word does indeed have a French origin, though in modern French it has an extra syllable: blanc-manger blãmãʒe. You can see that it had three syllables for Chaucer, too. Furthermore, at that time it was made from chicken or other meat. The OED’s first citation for a two-syllable version is 1789, when it was spelt blomange. I wonder when and how it became a sweet dessert and when and how it lost that final syllable. In EPD Daniel Jones gave the word an alternative pronunciation with a French-style nasalized vowel, -mɔ̃ː(n)ʒ. But that must be based on the French spelling, not on actual French: it’s like connoisseur or epergne, a word that looks French but isn’t. ne sont pas des diphtongues (voyelle se modifiant en cours d'émission, prononcée en 1 seule syllabe) mais des voyelles non phonémiques /i/ et /u/ suivies d'un schwa /ə/, appartenant à 2 syllabes contiguës mais distinctes, malgré l'absence de consonne intermédiaire. Longman asked me to draft a reply. In LPD I have a whole-page panel discussing what I call Compression. You could also call it Varisyllabicity. The point is that some English words are varisyllabic: the number of syllables they contain is variable. 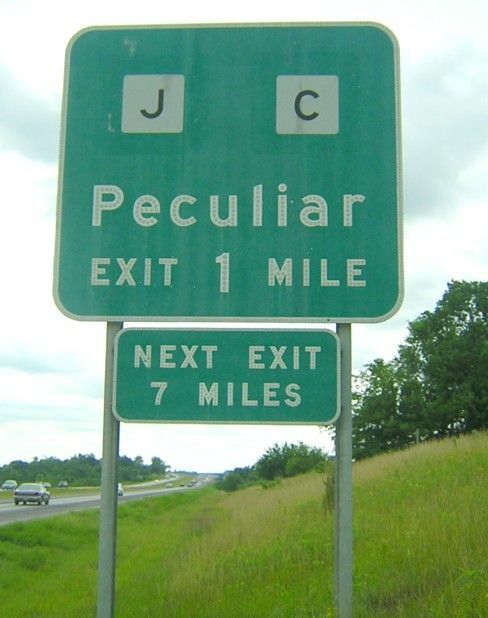 Thus actual can be pronounced as two syllables or as three; peculiar can be pronounced as three syllables or as four. The sounds represented as uə and iə here can be, and frequently are, pronounced in a single syllable. Alternatively, particularly in slow, careful, overarticulated speech, they can be pronounced in two syllables. I would think you get the same alternation in French, for example in the name Louis, which is usually monosyllabic [lwi] but can also be said disyllabically as [lui]. Here's another list of nonsense words from my postgraduate days, as dictated by J.D. O'Connor. It shows various extemporized symbols for sound types for which the (then) IPA made no provision. As my marginal notes indicate, in line 3 z* was to stand for z with no friction, i.e. for an alveolar grooved approximant. In the same word the linked pk obviously stands for a labial-velar plosive, which is more usually (though arguably less logically) written k͡p. In line 4 fɾʼ stands for an ejective cluster (as in yesterday’s nonsense). The symbol ʇ with an inferior right-to-left arrow, as the marginal note says, stands for a “reverse click”, i.e. a dental stop sound made with an egressive velaric airstream — a sound type not attested in human languages as far as I know. Lower down, the improvised p with a superior left-to-right arrow is glossed “kiss click”. Now the IPA has a recognized symbol for this sound, the voiceless bilabial click, namely ʘ. In the same word we have an alveolar-labiodental ejective fricative, written as sf with an inferior tie bar. In the last line but one the last symbol is a bit of a mystery. The underlined s with a superior right-to-left arrow is glossed “= [ks]” (with an inferior tie bar). I’m not sure what that means, nor how the sound shown by this symbol would have been different from the one shown by the same symbol without the underlining. What fun we used to have!